All Green Electronics Recycling is very proud to assist companies around the Columbus area to get the maximum amount out of their IT Equipment with Certified IT Asset Disposition (ITAD), Secure Data Destruction and Electronics Recycling. As an easy way to give back to the community, All Green even serves many of the residents of Columbus with their recycled electronics. Columbus is located in Central Ohio and houses the Area Headquarters of All Green Electronics Recycling. This business office is the head office for All Green’s functions in Ohio, Indiana, Michigan, Pennsylvania and West Virginia. Help to keep Columbus clean and free of e-waste by recycling your consumer electronics with All Green. Electronic waste or Ewaste is the word for abandoned electrical or electronic products. Used electronics that are headed for reuse, resale, restoration, recycling or disposal are also regarded as E-Waste. Unregulated processing of electronics waste in developing countries may cause serious health and pollution problems, because these countries around the world have minimal regulations of E-Waste processing. An estimated 75 million tons of Ewaste are produced every year. The USA throws away 30 million computers each year and 80 million cell phones are dumped in European countries each year. You will find a great deal of Columbus E-Waste released too. The Environmental Protection Agency estimates that only 15-20% of Ewaste is recycled, with the remainder of these consumer electronics go straight to landfills or incinerators. All Green Electronics Recycling is the leader in handling E Waste in a nontoxic, trustworthy manner. Electronics that we recycle are entirely guaranteed to never end up in a landfill in other countries. For scheduling your Columbus Ewaste pick up, make sure you fill out the request form on this web page. 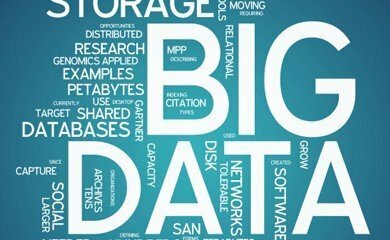 When security and data destruction are not maintained with the proper care they ought to get, it can result in many millions of dollars in damages and a completely ruined reputation. Regardless of whether your company is subject to stringent privacy laws and regulatory requirements, your company cannot afford to risk sensitive information and facts falling into the wrong hands. Columbus is host to quite a few data centers as well as corporate offices for large global businesses so we offer on-site hard drive shredding services in addition to our standard data destruction services in Columbus. With the most sophisticated hard drive shredding trucks in the world, All Green offers offerings that are truly unparalleled! As the state capital of Ohio, Columbus is the most populous city in the state and the fifteenth largest city in the country. Key components of the city’s economy include banking, defense, steel, energy, healthcare, and education. Columbus is home to Ohio State University, which has one of the largest campuses in the United States and was recently ranked among the nation’s top twenty public universities. The city has two professional sports teams: the Columbus Blue Jackets (hockey) and the Columbus Crew (soccer). Columbus is the annual host of the Ohio State Fair. All Green’s 7-Step Electronics Recycling, Data Destruction and IT Asset Disposition process in Columbus and the adjoining areas. 1. You possess used IT Equipment – If it plugs in to the wall or requires a battery, we can take care of it! 2. Click or call to arrange for IT Recycling – Our Columbus customer service specialists are standing by 6 days a week. 5. We responsibly provide transportation for everything – Your equipment is securely transported & monitored at each and every step. 6. We eradicate all data – Data destruction solutions from wiping to crushing and shredding. 7. Eco-Friendly Recycling – Qualified to the strongest standards with R2 and ISO14001. All Green is a Registered Microsoft Refurbisher with special systems developed to optimize returns to our clients. Our refurbishment and resale methods are specifically designed to get you the greatest value for all of your retired IT assets. Repurposing and resale of your IT Equipment has never been easier with our streamlined procedures. Anywhere in Columbus, you can turn your IT Asset Disposal process into a revenue stream by allowing All Green in Columbus to pick up, track, clean and repurpose your out of date IT Assets. The resale of computers, laptops, servers, hard drives, monitors, mobile phones and tablets is exactly what we do best! Let us do what we do best while you focus on what you do best and get the greatest return on your IT Equipment. Large companies and even educational institutions such as Ohio State University, Columbus State Community College, Ohio Dominican University, Columbus College of Art and Design and Capital University in Columbus rely on repurposing IT Equipment in order to acquire new equipment as often as possible. All Green’s mobile hard drive shredding trucks operate in the Columbus area to provide coverage for the great number of corporate headquarters and firms based in The Discovery City. 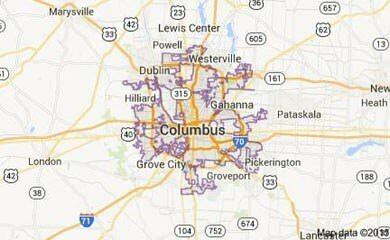 The landscape in Columbus and bordering areas including Marion, Chillicothe, Mount Vernon, Alum Creek, Big Walnut Creek and Darby Creek allows us to use hard drive shredding trucks that can visit your business and shred your hard drives while you watch. 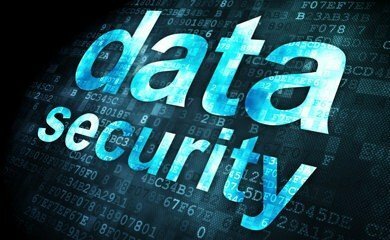 Federal government agencies such as Solar-Tex, Inc Window Film and Glass Tinting, US Labor Department and USda Agricultural Research Service trust in secure destruction of their computer data and so should you. If you don’t require witnessed hard drive shredding in The Arch City, we also offer pickup hard drive destruction and wiping services as well as pack and ship data destruction services. The state of Ohio has rigid destruction and disposal guidelines so we ensure proper handling and security for all of your equipment.